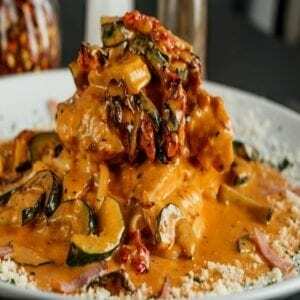 Top rated Italian restaurants abound in Northwest Arkansas. Award-winning chefs who focus on creating Italian specialties are the norm in NWA’s Italian eateries. Almost every city in NWA has an Italian restaurant or two. Extensive wine list, fabulous cocktails, intimate ambiance, great food and impeccable service characterize this downtown Bentonville Italian restaurant. Steaks are exceptional, as are the Pan Seared Scallops. Located in Historic Downtown Eureka Springs, Devito’s of Eureka Springs, in business for 27 years, offers farm-raised trout and Italian specialties. Dine overlooking East Mountain in their glassed-in porch or choose intimate street-side dining or try their newest addition, sky-view dining on the roof-top. Trout are obtained from their own family-owned trout farm making it a true farm-to-table restaurant. The trout gets a huge nod, but so does the seafood fettuccine. 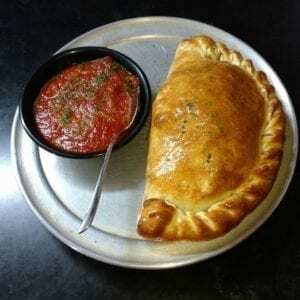 Located on the upper Historic Loop in a an old Victorian home, Ermilio’s received the 2014 Arkansas Times Reader’s Choice Award for Winner: Best Italian Restaurant All Around Arkansas and Winner: Best Restaurant In Eureka Springs. The restaurant features a hearty pasta menu. Salmon, a hard item to do just right, is done perfectly. 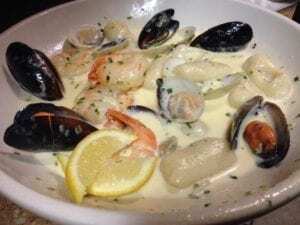 Chef Katherine Zeller creates delicious Italian cuisine at Cafe Amore located on East Van Buren. Popular menu items are the pizza, the lasagna and the creme brulee. One patron describes it as “a little treasure hidden in the hills of Eureka Springs”. At Bocca’s you’ll find delicious hand-made pastas, wood-fired pizzas and sauces made from fresh locally grown ingredients. Salads are fresh and scrumptious as are the house-made dressings. Delivers consistently awesome food and service each and every time you visit. Gluten free options are also available. 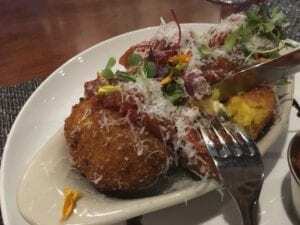 Located on West Dickson St., Bordinos is an upscale restaurant offering refined Italian menu items, delicious deserts, wine flights and a weekend brunch. A great romantic dinner venue, it is also appealing to parties. Try the steak, and even if you are not eating bread, taste the profiteroles. Make reservations as they do tend to get crowded. 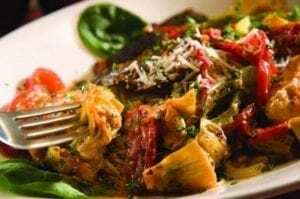 With pestos made from the freshest ingredients including, the finest extra virgin olive oil, farm fresh herbs, pine nuts, hazelnuts, and walnuts, The Pesto Cafe’ located on College Ave, specializes in amazing Italian creations guaranteed to tempt your appetite. Enjoy relaxing to fun live acoustic music on Tuesday and Thursday nights. Try the Eggplant Parmesan, you will be glad you did. 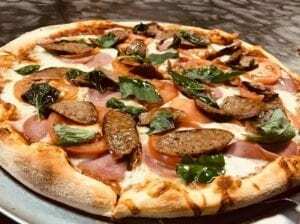 Located on West Walnut St, Napoli’s Italian Restaurant serves some of the best Neapolitan style pizza in NWA. Even people from NYC rave about it. Try the Sausage Pizzaioa once, you’ll be hooked for life. Known in the region for its authentic Italian food, their pasta is amazing as is their Alfredo sauce. and also their service. The portions are large and the prices are affordable. Try the Lobster Ravioli and the Chicken Murphy. In business for more than 60 years and located in Tontitown, the Venesian Inn prides itself on serving only authentic Italian food, homemade rolls, southern fried chicken and delicious steak entrées. It’s diverse menu has something for everyone. Experience a little taste of Italy when you choose to dine at the Venesian Inn. Bring a friend and a very healthy appetite and try the spaghetti and fried chicken combination. 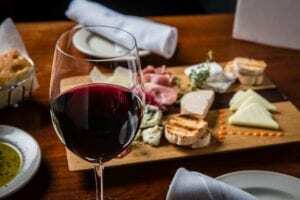 Vetro 1925 Ristorante, located on East Center Street in a charming old renovated building with exposed brick, offers classic Italian flavors & wine in a classy atmosphere. The presentation and service are excellent. Try the cannelloni or the Spaghetti Carbonara made in the Roman way. Be sure to check out all of the delicious italian places in Northwest Arkansas by simply clicking on the city below.